Tutors learn to teach vocabulary with pictures at our June Tutor Support Workshop. with trainer Mary Koa. If you’ve stopped in the office and wondered who was sitting at Russell’s desk, it’s been strange for me too. I’m very excited to be in the new job, but a bit bewildered as to how he did it all, made it look effortless and was friendly and helpful in two languages. Luckily the LVA staff is incredibly helpful and patient while I figure out everything from the phones to the newsletter. From my desk I can see the incredible wealth of books available for tutors and students to use in their lessons. The collection includes everything from the 1,500 most common words to picture dictionaries and more. On my computer, the easiest thing to open is www.lvaep.org, our website where there is a wealth information for students and tutors. When you open the page, in the top right-hand corner you will see “Resources” hover your mouse over it and click “Students” to find information on everything from Health to Finances, and Education to Transportation. If you click on “Tutors” you’ll find information on Lesson Plans and Materials. If you aren’t sure how to navigate it, stop in and we’ll show you. LVA is always searching for ways to make the program better for students and tutors. In the past year, we’ve offered id’s for students. This seemingly simple idea, is often the first picture id card our students have in this country and can be used to whenever they are asked for a picture id, is a source of pride and acknowledgement of their efforts at LVA EP. In this issue of the newsletter you’ll meet one of those students. Carlton makes a secret sauce that has everyone from friends and family, to state politicians swooning. On the tutor side, meet Randy Budros, he is deeply involved in helping immigrants in his community. This California native is rightly proud of the progress his students have made. Long a wizard in the kitchen, Carlton is working on reading and writing skills to help launch his secret sauce. Carlton’s life in the kitchen goes back a few years. Well, actually five decades or more. Today, in the United States, people still want to eat Carlton’s food. Carlton’s patented jerk sauce will soon be on the shelves in local markets for people to enjoy. But one thing Carlton doesn’t want eaten up is his profits. “People have offered to help me in my business, but I won’t take it. I am not going to kill myself for somebody else. We are keeping it as a family business,” Carlton explained. Carlton and his wife Paulina are both partners in life and in business. Carlton, a student with Literacy Volunteers of America who is working on his reading and writing skills, is the creative director of the household, while Paulina has a brain for business. She attended classes in how to start a small business. In about three months, “Castro’s Jerk Chicken” will be off and running. Castro was Carlton’s boyhood nickname in Jamaica. Children learning to read at an early age is really important because the longer they go in school, the more complicated reading materials get, and the more complicated vocabulary gets. What we know is around 4th grade or so, we really start to see the divide between students who are well prepared and who are ready to keep excelling in school and kids that are really going to start to struggle,” said Erik Jacobson, an associate professor of early childhood, elementary and literacy education at Montclair State University. The Nation’s Report Card indicates 49 percent of New Jersey fourth-graders and 47 percent of eighth grade students performed at or above the NAEP proficient reading level. That’s higher than the national average, but Erik Jacobson, an associate professor of early childhood, elementary and literacy education at Montclair State University says the numbers should be higher, not just in the state but nationwide. Early literacy isn’t just about understanding letter sounds. That’s the building block, but not the limit of what early childhood education should be about when it comes to reading and writing, says Jacobson. “It really has to be about a full range of activities, encouraging a love of reading, encouraging a love of language and encouraging a love of storytelling,” Jacobson said. Literacy New Jersey indicates the single most significant predictor of a child’s literacy is their mother’s literacy level. Jacobson insists a child’s first literacy instructor is their parent because it gets kids thinking about the nature of language, vocabulary and how stories work. 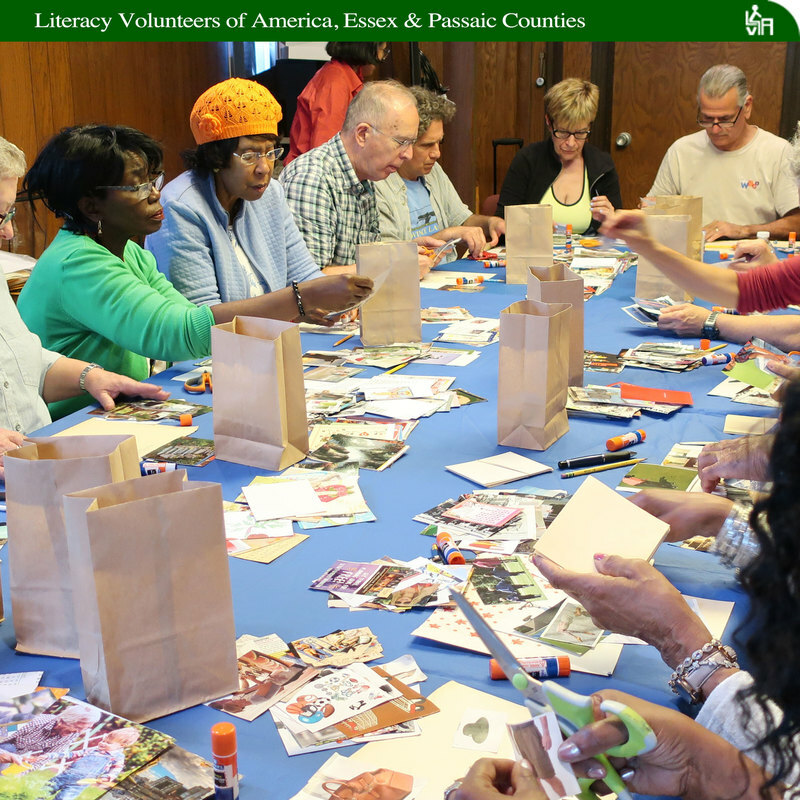 Literacy Volunteers of America tutor Randy Budros has his finger on the pulse of the immigrant experience. Randy’s grew up in San Jose, CA and went on to earn graduate degrees in sociology and education, which ignited his fascination with people and his dedication to teaching. He went on to teach graduate students at the University of San Francisco, before joining Gallup as a senior research consultant. Randy and his Parisian wife, Francoise, regularly host get-togethers with their adopted families for informal cultural exchanges around the kitchen table. They also help new families buy clothing, food and other needs arise that may arise. 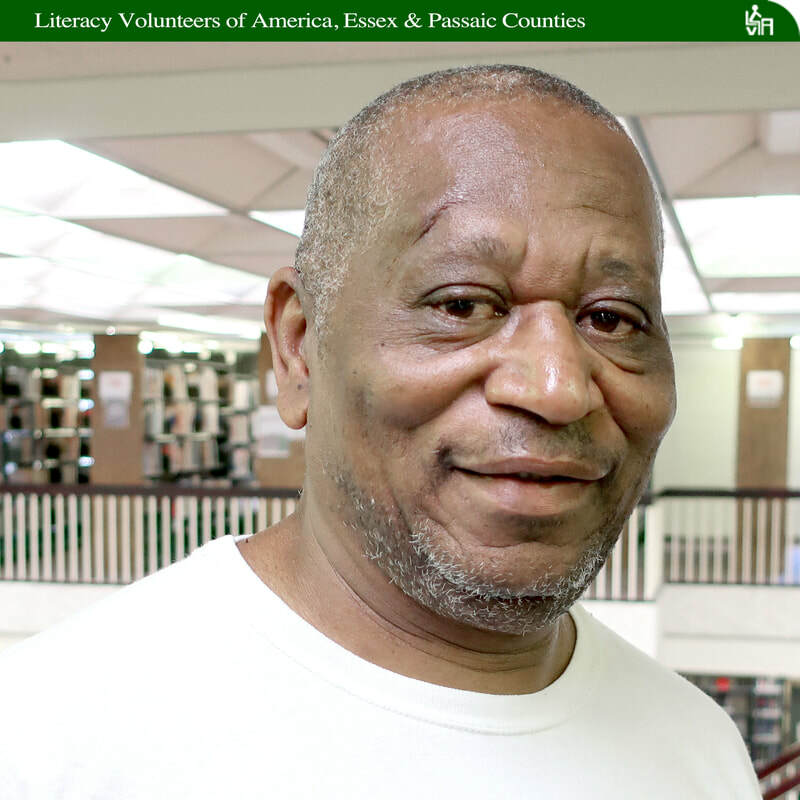 In his spare time, Randy also works with SOMA, a South Orange and Maplewood initiative that strives to build a community for residents of all ages. One of Randy’s current projects is advocating for criminal justice reform. At LVA, he’s seen his students’ progress and beams with pride at their accomplishment. Randy is a long way from San Jose, but his interest in the immigrant community is LVA EP’s great fortune.